I've gone through my share of coffee makers. My Mom liked her coffee wicked strong (you hear that New England accent coming out), so she uses a coffee press. I can't handle it that strong so I used a simple drip pot when I moved out on my own. Then I became obsessed with drinking lattes from the coffee shops because they are so good. Throw in some pumpkin or raspberry and *swoon*, I'm in heaven. But then I realized that I didn't have the budget for coffee shops anymore once I got married, bought a house, and had children. It was time to go back to making coffee at home. So I bought what was hot, a single cup brewer because I thought it would save us on coffee. I was drinking a cup in the morning each day while my husband was drinking his coffee at the office more than at home. But the fact that the little cups weren't recyclable or compostable really started to bother me. Even buying one of those reusable cups I still wasn't in love. My Mom used to come over and tell me the coffee tasted like dirty water. Not strong enough and had no flavor. So I was ready for a change. 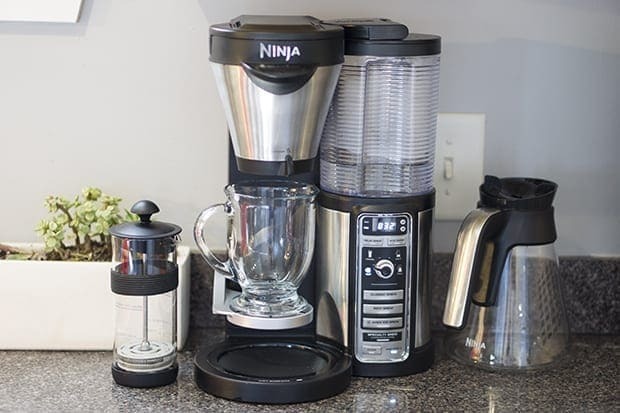 The Ninja Coffee Bar was on the top of my Christmas list this year, so when the fine folks at Ninja sent me one to test out, I was over the moon. This thing has it all. 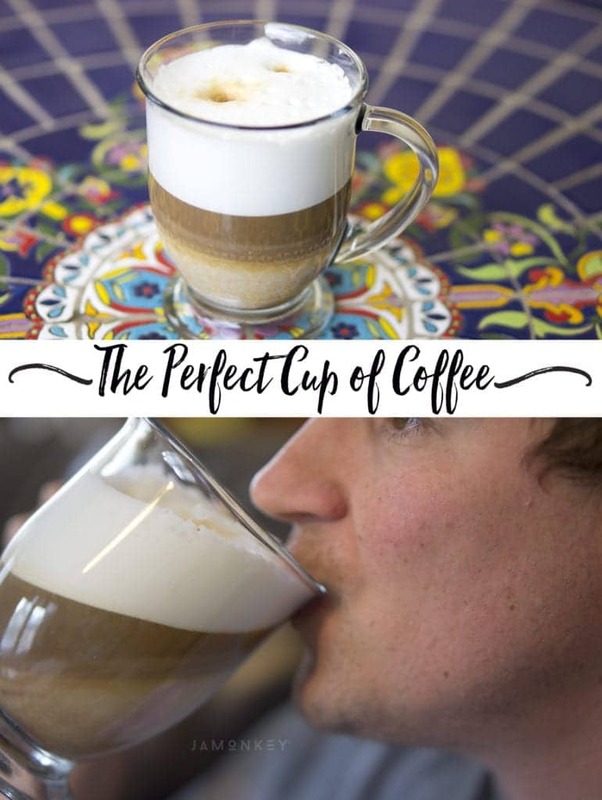 All the coffee options we love like cappuccino's, lattes, and a plain old pot of coffee. My husband thought I was crazy for wanting one until I told him everything it is capable of. Now, every time he makes himself some specialty brew coffee, he tells me how much he loves it. 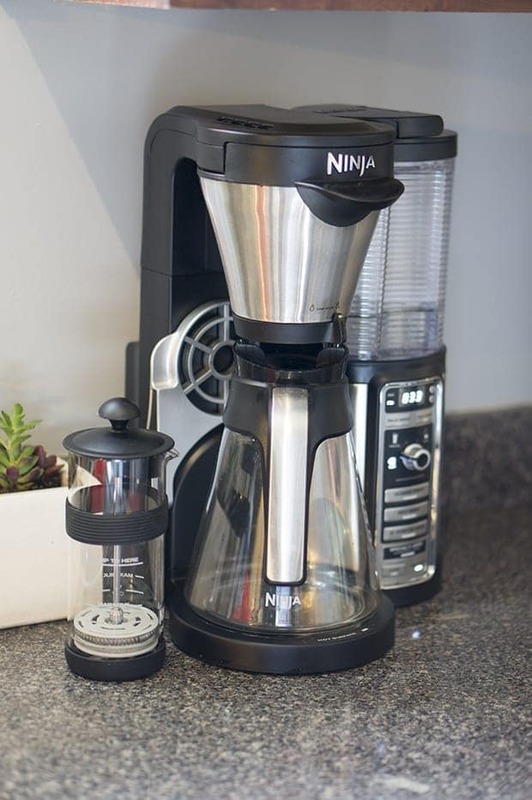 The Ninja Coffee Bar comes with a carafe in either glass or a thermal stainless steel option . It as came with the milk frother and the machine itself. My model also came with a hot or cold tumbler and an amazing recipe book filled with 100 coffee recipes. Much like a regular drip coffee pot it has the option to make a half carafe or a full. 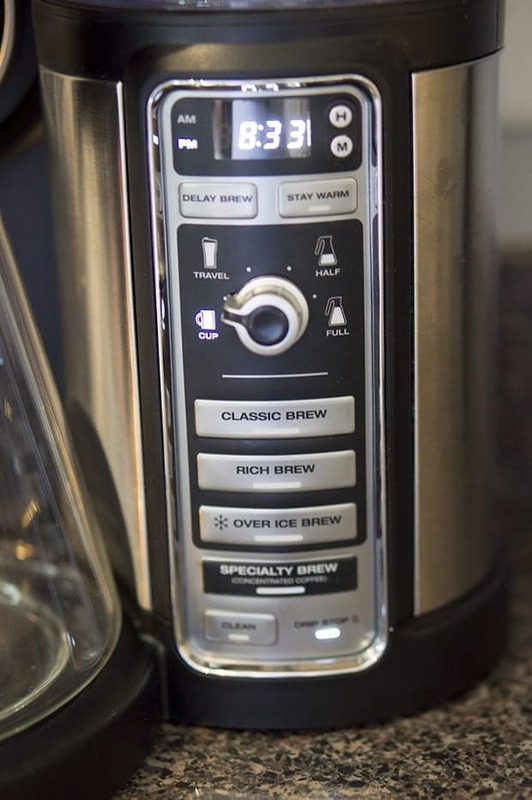 You can even select the type of brew you would like. A classic brew or a rich brew. But the best aspects about the Coffee Bar are the specialty drink options. Being able to brew over ice and make concentrated brews like an expresso machine is my favorite feature. I can make mocha lattes from home now. I've even learned how to make my own syrup at home. Now I make a half a carafe in the morning for my husband and I to enjoy. I can set the timer the night before and it's ready when we come downstairs. In the afternoon, I can take the carafe out and fold down the single cup tray to make a specialty blend for a pick me up. I'm so in love with this machine. No more wasteful single serve cups. Everyone that I've served coffee to since we got it can tell a difference and raves about it. If you're a coffee lover then it is a must have. It combines multiple different coffee machines into one which is how it got the name coffee bar. Find out more about the Ninja Coffee Bar and everything it can do here.